Designed around the principle of Oscillating Kinetic Energy (OKE), BandBell Bars are unique, hand-made 80" barbells that weigh 6LB. each – yet can handle weights in excess of 300LB. For rehab, prehab, CrossFit, strength building and functional training programs, this is your one-of-a-kind, go-to apparatus. The original BandBell Bar, nicknamed the “Bamboo Bar”, is actually made from hardened ash wood with a composite resin center section scientifically engineered for maximum flexibility and durability. It is optimized to conduct OKE from weighted bands directly to the shoulders, elbows, biceps and lower back to enhance muscle stabilization that promotes healthier joint function. The horizontal Safety-Slots on each end of the Bar help to keep bands firmly in place during high-energy exercises like biceps curls, rear delt pulls and seated good mornings. Physical Therapists approve of the slots, as well, because of their geometric balance and concern for patient safety. As the Bamboo Bar grew in popularity, some lifters began using it more without the Safety-Slots. In fact, what they were calling for was a BandBell Bar that could hold a lot of bands and a lot of weight, all at the same time. Enter the Earthquake Bar! The Earthquake Bar was specially designed to hold a huge amount of weight and can be setup in a multitude of ways with bands and weights. Instead of safety slots, it has two-inch grooves cut into the wood to channel and grip the bands as the Bar bends radically under super-heavy weight. Use it for squats, bench, deadlifts, etc. This design works perfectly for CrossFit, high-performance & functional athletes, powerlifters, bodybuilders and general workout programs because it has the unique capability of teaching perfect form however it’s used. BandBell Bars is rated 5.0 out of 5 by 11. Rated 5 out of 5 by PaulF from Bandbell Bar Both of my shoulders have a variety of issues, the bandbell bar has been the core of my pressing movements for the last 6 months while I have integrated more shoulder health, stability and and mobility work into my training. It has been and continues to be a slow process, but I think the bar has helped tremendously. The most noticeable place of improvement is locking out circus dumbbell and log push presses, and that my shoulders have become rock solid stable. If you don't have a bunch of pairs of kettlebells, a loading pin with a mini band is just as unstable and wobbly. Rated 5 out of 5 by Lerong from Postural re/pre-hab and stabilization training! Excellent product! A really good finisher for bench days. However, you can use it for all kinds of exercises, including front raises, overhead presses, skull crushers, curls, and vertical rows. When you use it, focus on the vibrations and really try to feel it. It will not disappoint. Check out my review. 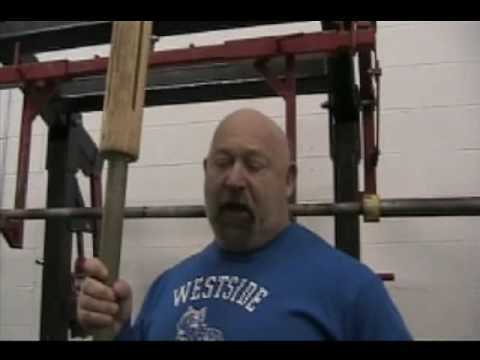 Rated 5 out of 5 by jgray from Unbelievable I bought the earthquake bar when first buying my load of equipment looking for something as a "deload" tool. While I certainly think this would work, I now use it for a lot more. It makes it's way into curls, Overhead Press, Bench, and more. I'd use it for Overhead Carries, but my garage door is too low for that. The feeling of this bar is unlike anything else, even rings don't challenge the entire shoulder girdle, pec, triceps, etc. like this bar. Rated 5 out of 5 by The Rock from EarthQuake Bar We use this in our gym and it is a hit! Changes up the workout. Rated 5 out of 5 by CrossFit Riot from Legit We have two earthquake bars that we use regularly for bench warmups and overhead carries. Not only do they function well but our members always want to try them out when they see our powerlifting class shaking like crazy. Rated 5 out of 5 by Superman from Rogue Bamboo Rogue has came up with a great product to shock your muscles, get out of the plateau that you are in, and start your bench PR to go up! And have fun bencing! Also after meeting the owner/workers at the Arnold, this is a GREAT company to be acquainted with.